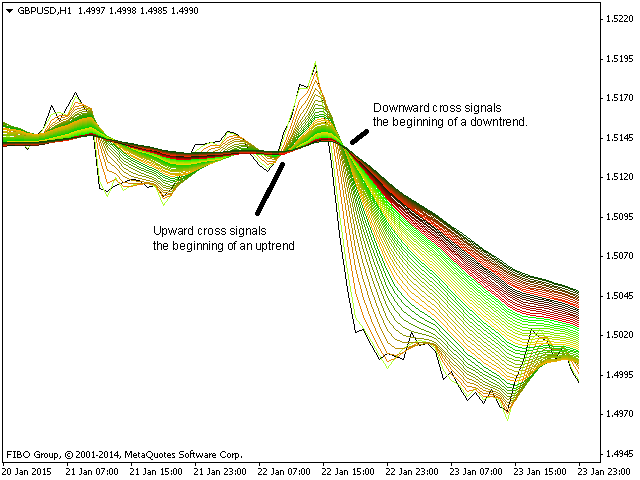 A technique used in technical analysis to identify changing trends. It is created by placing a large number of moving averages onto the same chart. When all the averages are moving in the same direction, the trend is said to be strong. Reversals are confirmed when the averages crossover and head in the opposite direction.